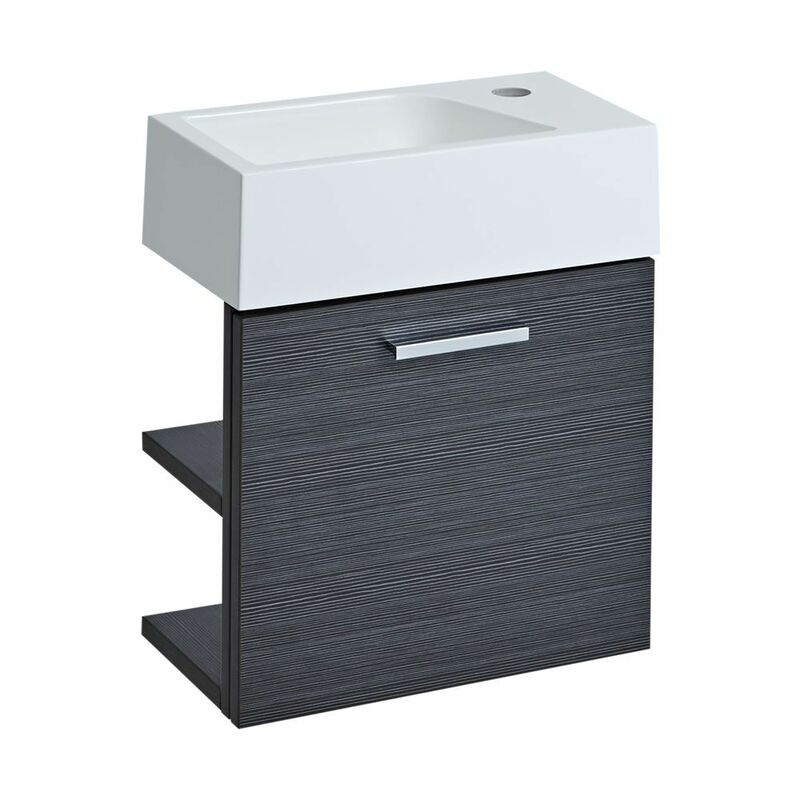 This compact wall mounted 16” vanity boasts an attractive gray finish that will add a touch of class to any bathroom space. 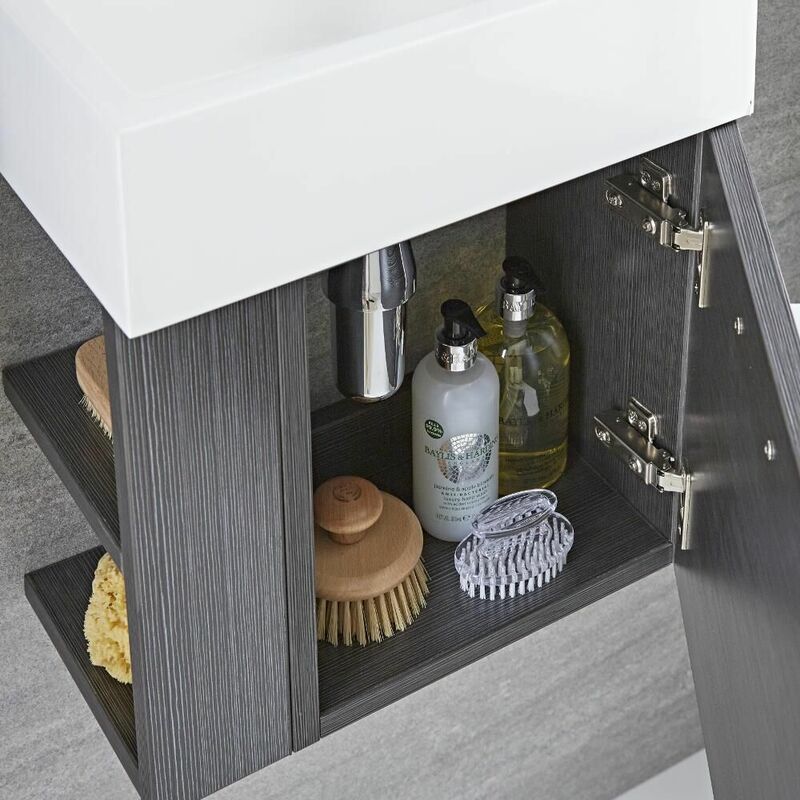 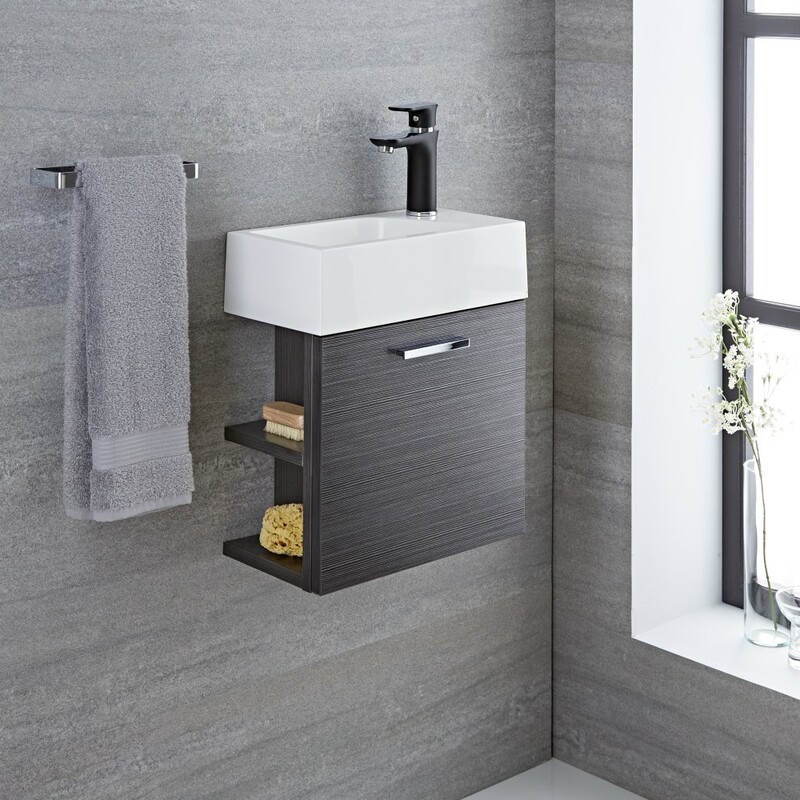 The unit’s stand-out internal and external features come in the form of a pre-drilled polymarble basin, left-sided open shelving, soft close hinges and a stylish polished chrome handle. 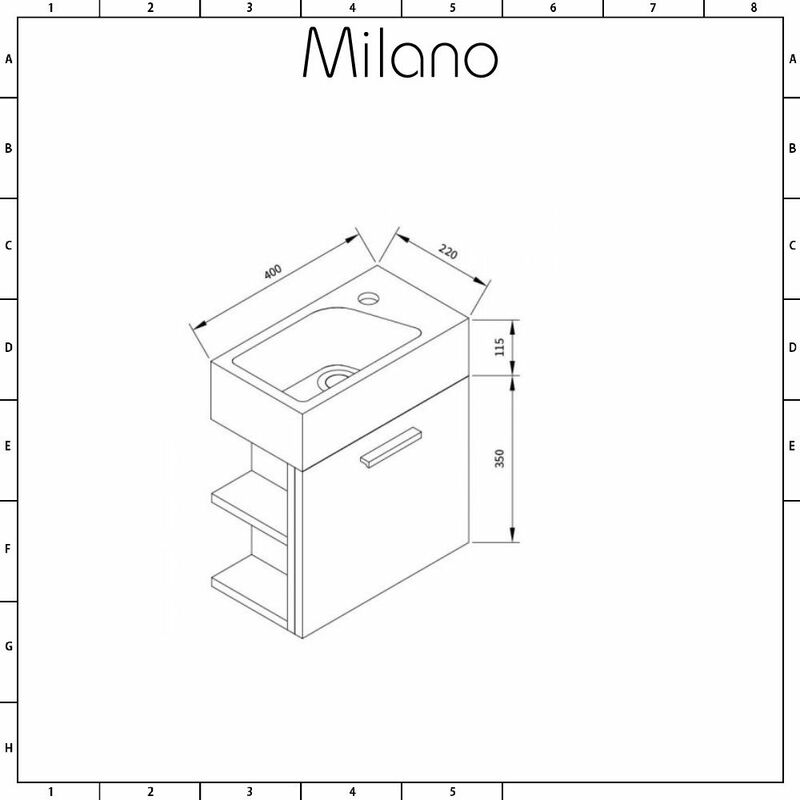 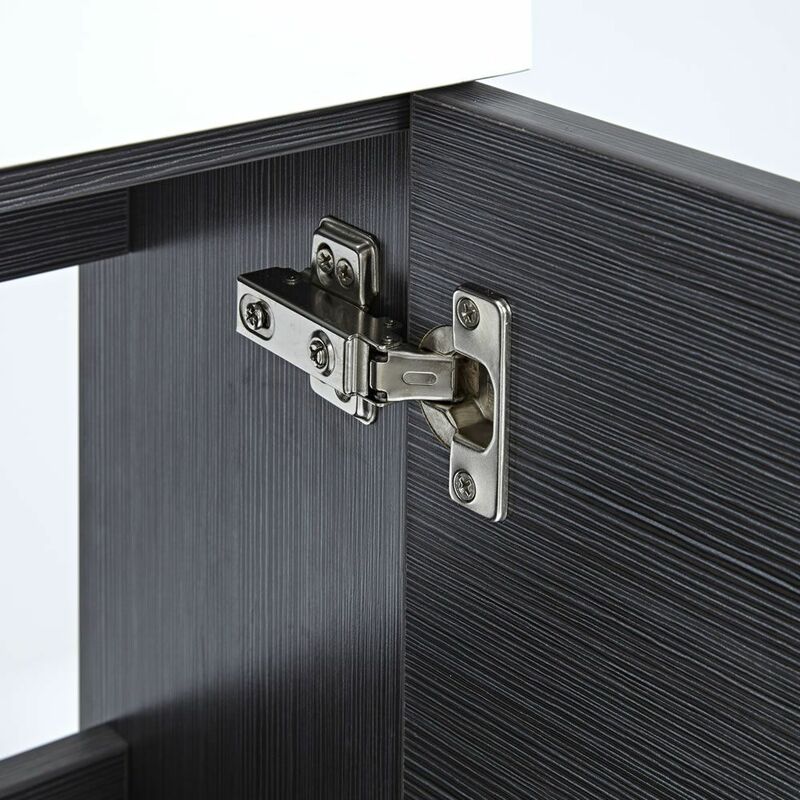 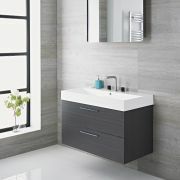 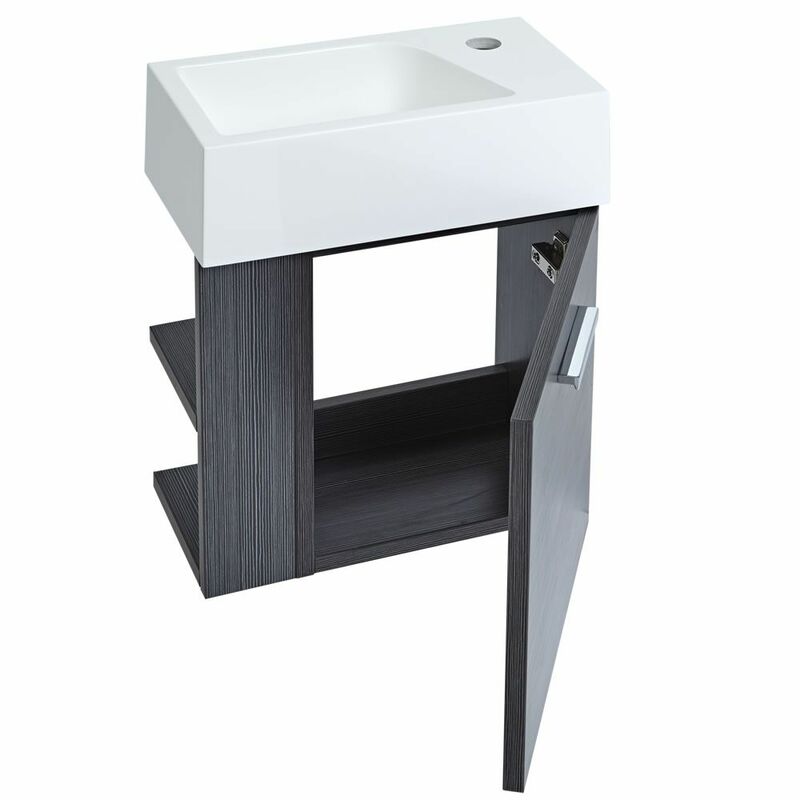 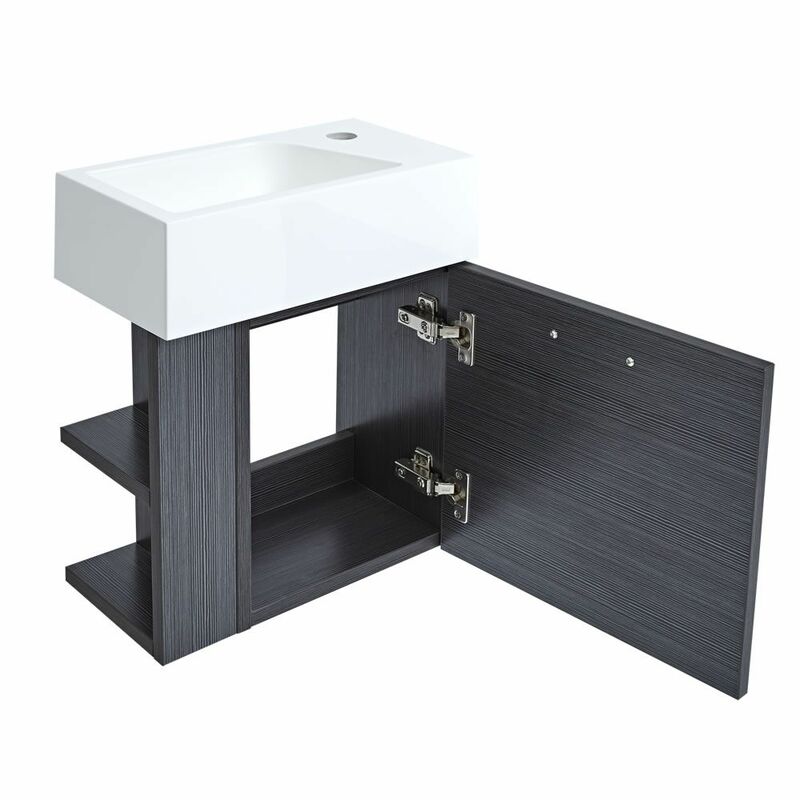 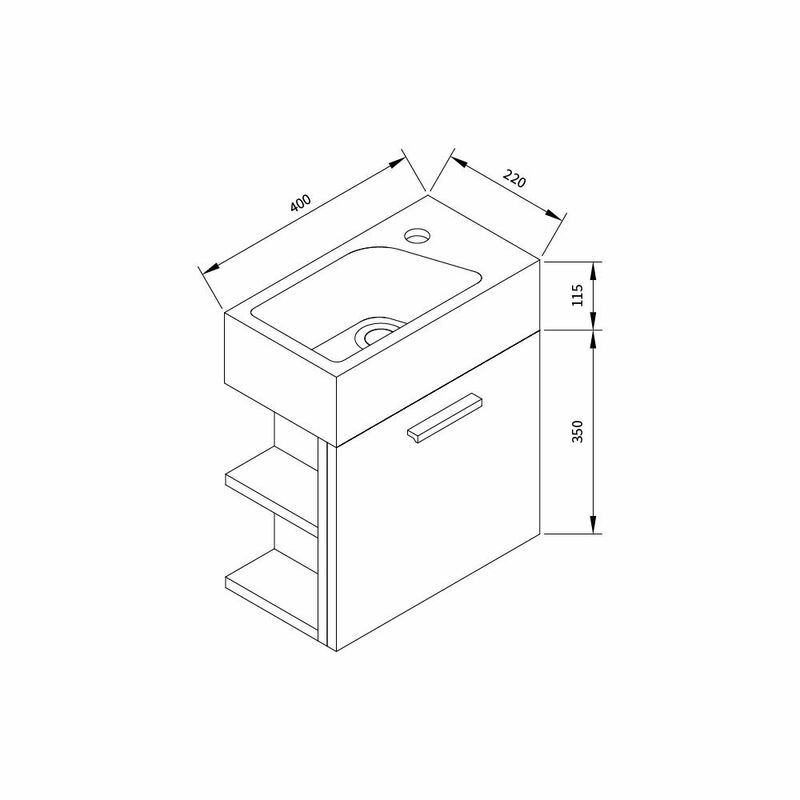 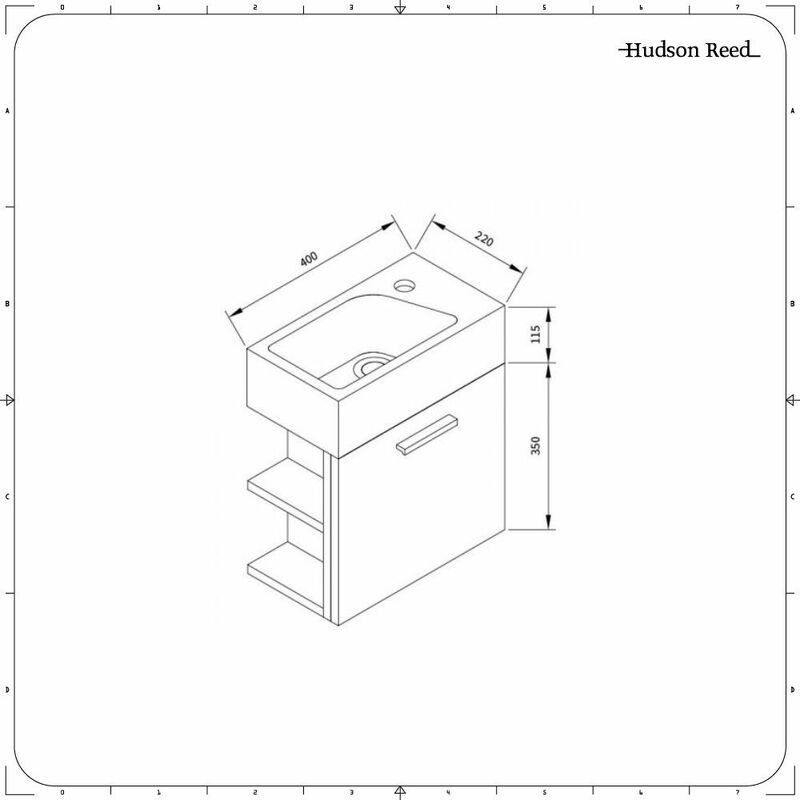 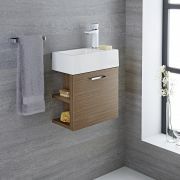 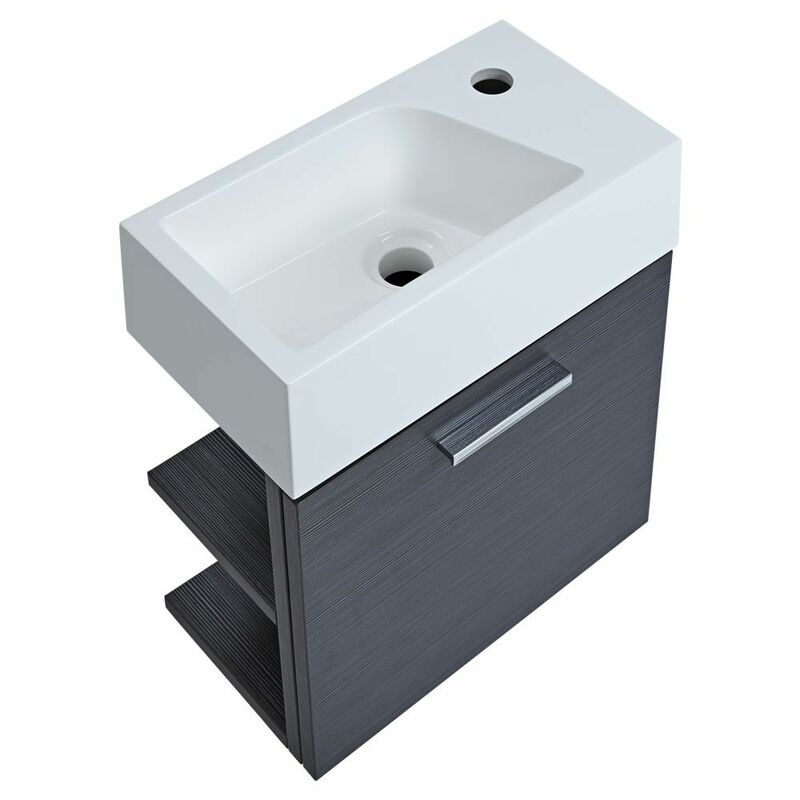 Ideal for a small bathroom, the vanity is supplied rigid for an easy install.